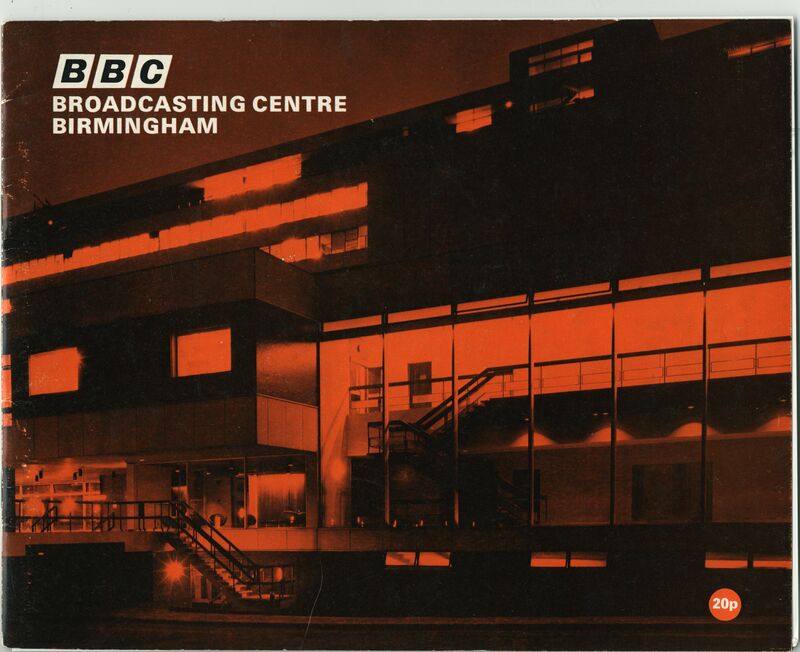 This brochure was produced to celebrate the opening of BBC Pebble Mill in 1971. Thanks to Juliet Dean for keeping her copy safe all these years. The last image is a picture of the original Pebble Mill farm, which was on the site before the building was erected. Before the building of Pebble Mill, production in Birmingham was scattered between sites in Carpenter Road, Edgbaston with a television studio at Gosta Green. It was sold for the princely sum of 20p!